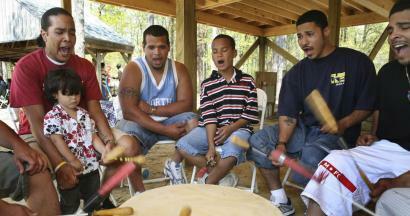 Members of the Mashpee Wampanoag Tribe of Massachusetts say federal recognition gives them a new set of tools to succeed. Mashpee ancestors greeted the first European settlers at Plymouth Rock. Despite efforts to push them out, tribal members dominated the Mashpee area until the 1960s, when non-Indians began to move in. The influx led to disputes over land ownership and federal status. A failed land claim left the tribe in the Bureau of Indian Affairs queue for more than 30 years. An answer finally came this year, when the BIA finalized the tribe's status. Now tribal members are looking forward to the housing, education and health benefits that recognition brings. They also hope gaming brings in much-needed dollars but some say it has already begun to corrupt the tribe.